I went to my local LEGO store this weekend to get my free LEGO Batman Movie polybag. To get it, you need to find all these Batman stickers around the store. * I’m glad I took my daughter with me. 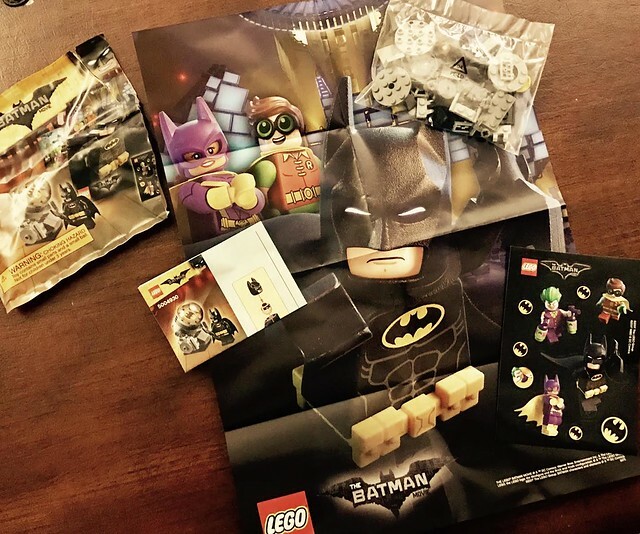 They would only give the LEGO Batman Movie polybag to kids. I traded her for a bag of candy from the sweet shop next door! These are what the stickers look like. They are rather small, but easy to see. Also, they were mostly in the lower cases, so an adult will really need to get down to see them. Much easier for kids to see. In addition to a Batman minifigure and a brick-built Bat Signal, there is a cool two-sided poster (heroes on one side, villains on the other), and some cool stickers. Batman is an awesome minifigure. I really like the molded yellow utility belt, and the black cape is a much softer material than I’m used to. Hopefully, all new capes will be made like this. 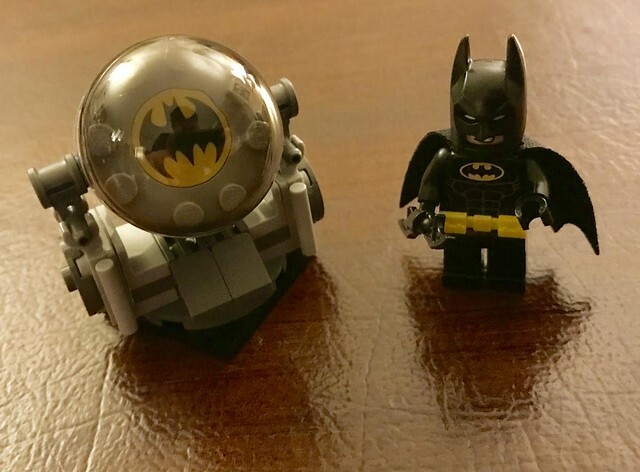 I don’t have any other new Batman minifigures, so I’m not sure if the one in this LEGO Batman Movie polybag is unique or not. I’ll hopefully know soon! 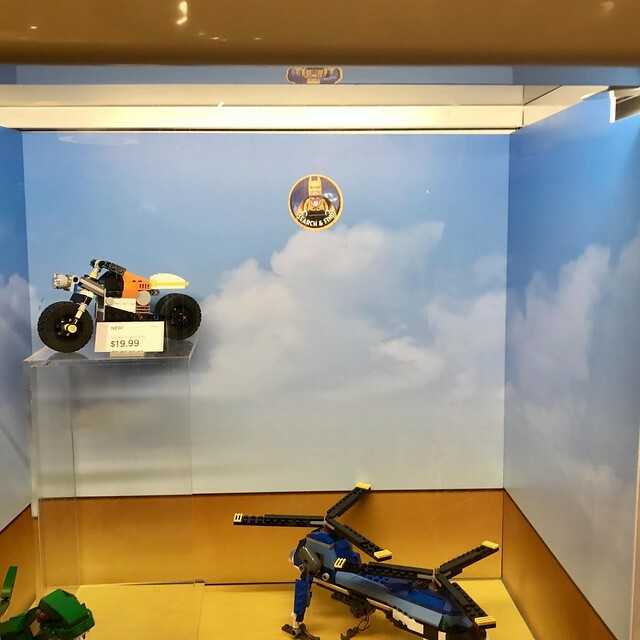 I think the promotion runs up until the release of the movie on February 10th, and I do recommend hitting your LEGO store o pick one up. But remember to take a kid with you! At the store in Troy, Michigan, there were 8 stickers, and they were all in the display cases.